... little girl, I watched my aunts and my grandmother cook in Beirut. An organization worthy of the greatest chefs, a whole ritual, a ceremonial. I liked to sit and be discreet to watch them set up this amazing orchestra. I did not lose a crumb, I listened, smelt, turned my head every time an unusual sound or a new smell came to surprise me. It was passionate. Alone with my grandmother, I evolved into another dimension. We did not speak a common language, so cooking together became our way of communicating, our common ground. We let those moments stretch as long as possible. She showed me how she cooked, made me feel and taste. We exchanged smiles, then tasted again, to be sure of the flavor of this common work we were so proud about. My taste for cooking has become rooted. It then took a few years for me to let him reveal himself. 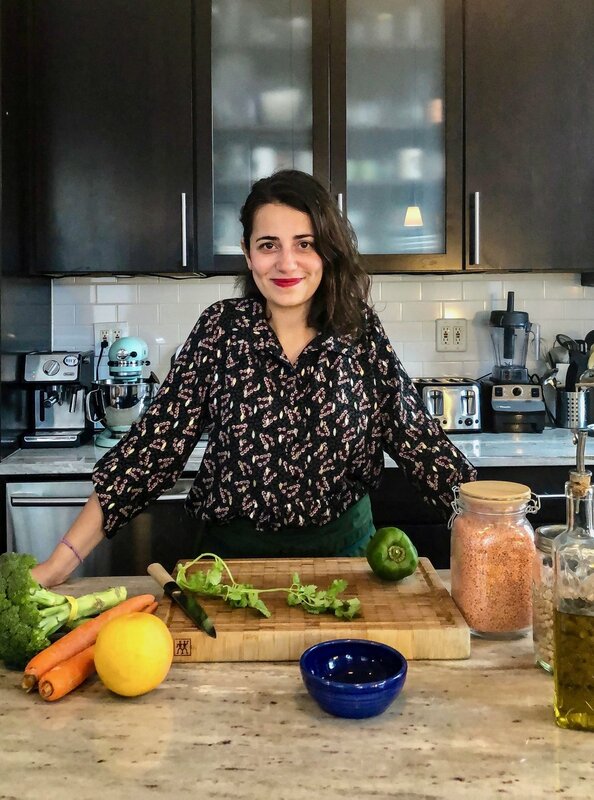 After seven years in communication to work for brands in Paris, I decided to reconnect with my memories and my passion for cooking. I had the chance to join the school of the 2 Stars Michelin Chef Thierry Marx to follow his training of traditional French cuisine. It was an incredible experience that allowed me to learn the techniques of French cooking and the keys to the functioning of a brigade. Today my objective is to offer to my clients a real added value by combining my marketing expertise with my skills in project management and cooking and my knowledge in gastronomy. I live in Brooklyn, and I work for clients based in NYC, Paris and the rest of France. Please have a look to my instagram account to see more pictures of my specialities! - New York State Department of Health Food Protection Certified.